Welcome back! Actually, you may not have gone anywhere, but then neither did design. Trends are always forming, rising, and fading away--and as a designer it's my job to stay on top of them. If you're like me, though, the last thing you want to do is jump on a trend you'll be looking to jump off of in one year's time. That's why I put together a round up of some 2015 design trends you should know about, that you can still feel good about in 2016 and beyond! -What's the perfect way to welcome in a new year: the pineapple! Pineapples have long been a symbol of good hospitality and tropical destinations, and now they're becoming a popular choice for prints, art and accessories. -Why now: Animals and leaves have been popular motifs for a few years now; pineapples combine this nature theme with the equally strong trend of geometric angles. Plus, they're timelessly sweet. 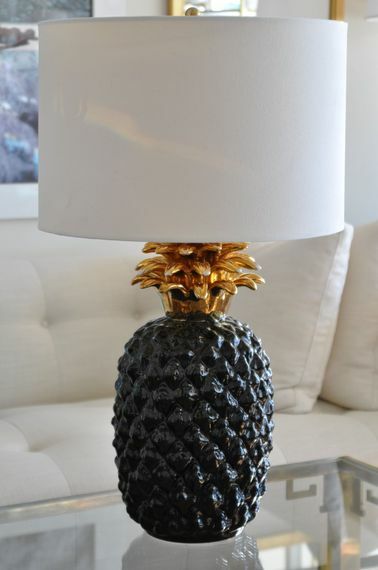 Try: a fun printed fabric, a traditional pineapple-base lamp, or even the real thing displayed on your counter or in a guest bedroom. -Benjamin Moore's colour of the year, this silvery green shade (#HC-116) represents an ever bigger trend: non-neutral neutrals. Greens blend well with most colours while adding a sense of life, so this colour is a great choice for anyone looking to update their neutral (or colourful) palette. Why now: With grey and greige being go-to shades for a few years, people are clearly loving the cleanness of cooler neutrals--crisp green takes this idea and adds a fresh natural essence. Try: pairing this shade with pops of red tones (such as sophisticated burgundy or soft pinks) and clean white trim for a preppy look that merges traditional and modern. -Gold's quieter cousin, brass carried a bad reputation for years that it has finally shaken off. Now this inviting metal is no longer found only in antique shops, popping up on modern fixtures and glam accessories. 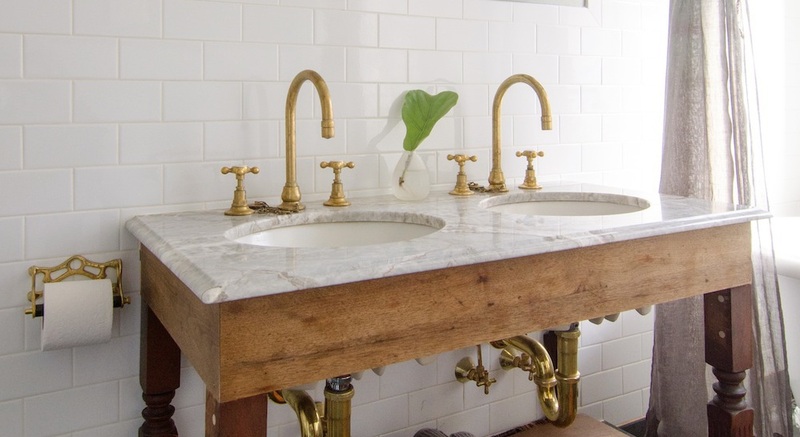 -Why now: Copper may have lead the charge to winning over fans of warm metals, but brass is the more subdued and timeless choice, with a moderate tone that you'll still appreciate when the hot trends have passed. 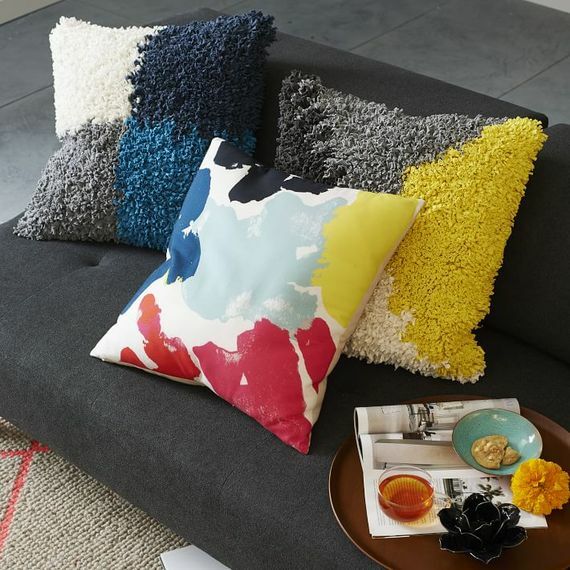 -Not a specific must-have item, but a vibe: handmade textures are transitioning from fashion to decor in a big way, with nubby wool and rough weaves presenting a character-full alternative to sleek silks and "perfect" crispness. -Why now: After decades of minimalism (and a catchy song about the Thrift Shop), the time feels right to embrace the sumptuous handfeel of boucle, boiled wool, crewel and other perfectly imperfect materials. 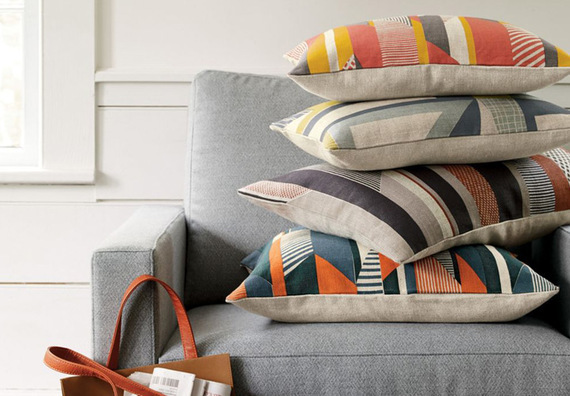 Try: Textural pillows you'll want to rest your head against from West Elm, felt wall coverings by Submaterial, or the Lawson linen frame from my Yanic Simard Selected collection (at http://tidg.ca/yanic-simard-selected/). -Speaking of moving on from minimalism, possibly the biggest trend in decor is the idea that sometimes less is more, but sometimes more is more. Layering is a huge look in every sense, from piling on textures to mixing patterns and beyond. -Why now: Why not? Design is all about editing, but sometimes there are too many great pieces in your collection to hide them all away. Now is the time to play with contrasts, colours, and a rich filled-in look, for a statement that feels personal and luxe in a big way. 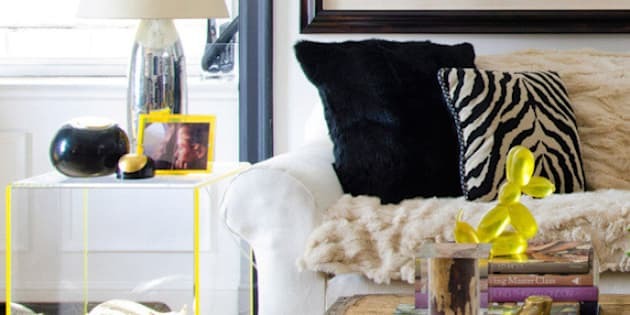 Try: layering multiple rugs, mixing patterns in pillows, adding moulding (with a neoclassical/New York apartment inspiration), hanging art over wallpaper, filing open shelves to the brim. 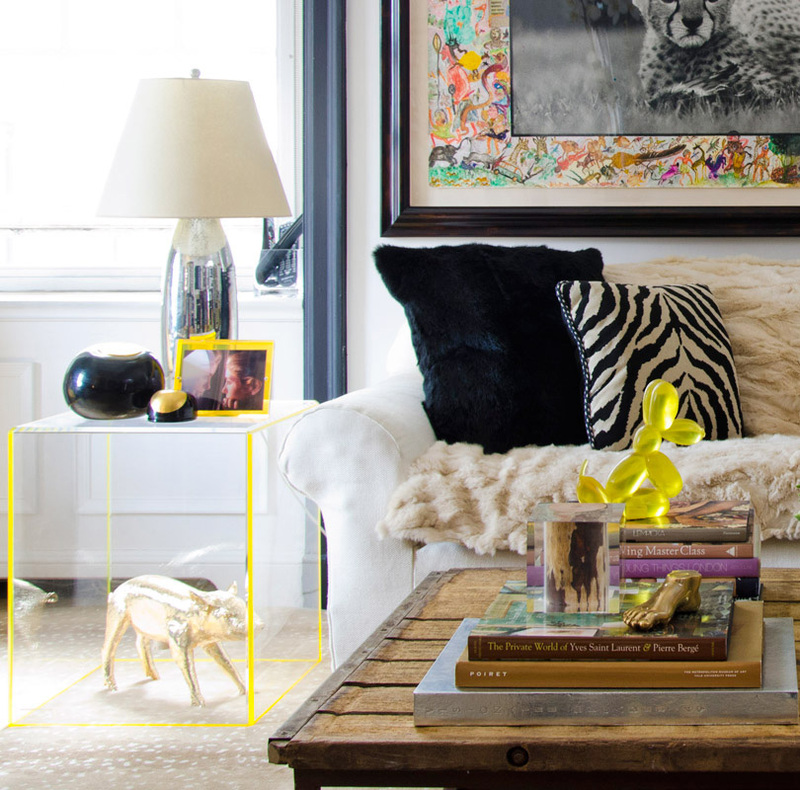 -Mix and Mashup: Mixing high with low and modern with traditional is bigger than ever, as design fans refuse to be confined to one style statement. -Mexican Inspiration: Dip into a little Mexican spice with timeless textiles inspired by traditional serape's and brilliant patchwork - a colourful cousin to the handmade trend. 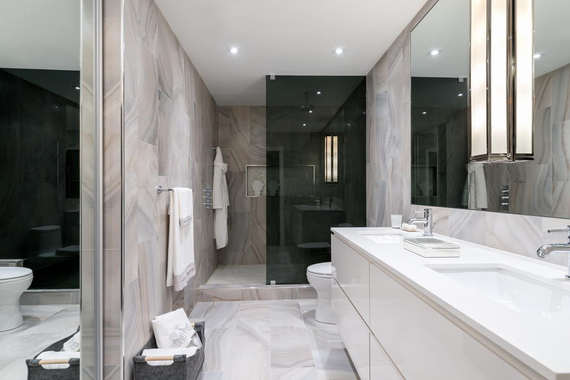 -Smoked Glass: For decorative mirrors or sleek shower enclosures, nothing beats the sophisticated touch of a deep grey semi-transparent glass treatment. -Tropical Touches: Big, leafy tropical plants (and exotic elements like moss or cacti) are everywhere, from prints to planters. -Carefree Caning: Look back to my last entry on my Miami condo design to spot the airy caned chairs, and then start to notice this breezy weave everywhere!